First things first, the obvious, smaller companies have smaller budgets and less resources to implement technology changes. Even changes that increase efficiencies and throughput. The challenges are similar for large and small organizations, it is just larger organizations generally have more resources available. The relative impact is generally equal though. For smaller organizations the stakes are relatively greater and the margin for error much smaller. 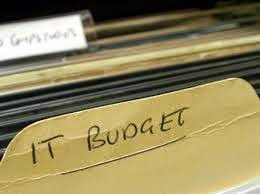 For example, a budget overrun or deadline exception will have a negative impact on a budget for a larger organization, but it can be devastating for a smaller organization and effectively put them out of business. Ironically technology itself can help. When it comes to Enterprise Resource Planning (ERP) solutions, there are many different variations that are tailor made for many industries. Often the variations came from home-grown solutions from companies that could not find the right solution and built their own and over time starting selling that to other companies in their industry. With so many solutions and so much history now, you have to wonder why budget and time overruns occur. The reality is it happens all the time. Much too often. Somewhere there was a breakdown in communication. There are three basic categories to ERP solutions. Each category has many components, but they all funnel into these three. The software or programs are module oriented where modules are based on departmental or functional roles in the organization. It is responsible for the collection and presentation of the information the solution stores. ERP software typically has an initial license fee and annual maintenance. I have had conversations where a prospect just could not justify why the software cost so much, after all it was already written. I did my best to explain that the annual fee, perhaps more so than the initial fee was for future support and not so much for what was already written. Business needs change and ERP software solutions need to change to match the business landscape. Remember that ERP solutions are designed to integrate the organization, the entire organization. The more of your company that is included in the solution, the greater the efficiencies can be and therefore cost savings and increased profits. The second component is the hardware or physical equipment the software is designed to run on. This includes a central database of information that is shared by a server and distributed to clients. The clients are everyone that accesses the information at one level or another including web delivery. In some cases companies will choose a Software-as-a-Service (SaaS) solution which is a subscription based solution where someone else manages the infrastructure. This type of solution is talked about a lot lately and is referred to as Cloud solutions. For many, if they are not already using a hosted solution, they are one or two generations of software or hardware away from this type of solution either in part or in whole. On premise or hosted in the Cloud is a personal choice that really is dependent on more details than can be discussed in an online column. It is not the point of this writing and there is no one right answer. Each challenge needs to be matched with an appropriate solution. Cloud is irrelevant. The solution as a whole is the important part. Here is the point. With some careful planning and analysis the software and hardware costs can be estimated fairly well. The solution usually falls into a range that is predictable and can be clearly documented as to why it is smaller or larger than estimated. For example, the solution is now expanded to cover another division and there are more users, clients and the need for more robust database server solution. This, by the way, is a particularly great benefit of Cloud solutions in that the vendor should be able to scale the solution resources easily (either up or down). So where is the problem? What is the third component? Where do so many organizations lose control of their budget, their time, their patience? Implementation which includes training, conversion and support. In a rush to close deals or fear of limited budgets and losing a deal this component of the solution is often given too little analysis. Granted some of the components are harder than others. How much training do your users need? Do you learn to swim by jumping in the water? That is sink or swim. Sinking is not a good option for most companies. Conversion, if it has been done before between the From-Solution to the To-Solution can be estimated fairly well. If it is a new conversion, there is still historical averages that can be used. Some solutions are programed, some are re-keyed, and some are a combination of both methods. A big category is the decision on how much and which type of history should be converted. Do you phase out one system and build history in the new solution or do you convert everything so everyone uses the new system. Support is relative to everything else. Too little training and planning means more support later. More support up front usually means less hiccups later. You cannot bypass support. New ERP solutions are a series of complex interrelated components. They are not off the shelf box or quick download solutions. Your organization is not simple and neither will your ERP solution be simple. Technology can help collect and organize information. Information you need to make decisions in deciding what solution to select and implement as well as manage the implementation project. Information you collect and analyze to manage your business with the solution you select. Information is key and technology is a vehicle for collection and delivery. The solution is the important part and the technology is the delivery mechanism. There are no shortcuts in implementation and it is the most variable component in a solution and therefore needs the most attention to prevent unpredictable budget overruns. Dolvin Consulting works with your team and brings together industry experts to help you manage the chaos associated with ERP solutions. Contact us today to learn how we can help.